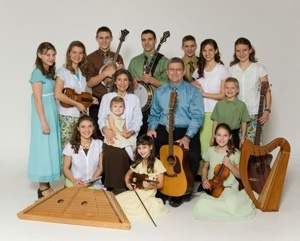 Enjoy this sampler of this family's music. A sure thing to bless your heart. It does ours! Stock coming in soon! Our Price $18 per CD. For details of each CD please go to "The Wissmann Family" page on our site. Can't wait until you get this one in Diane. I'll certainly be ordering a copy. Beautiful music.